One thing we get really good at as infertile’s is waiting. For someone like me with very little patience, this was a very hard lesson, and really it’s a lesson I’m still learning. I’ve always been the type of person to wish my life away waiting on something to come. As much as I believe in not wishing my life away, it’s been a hard practice to stop. July is still pretty far off, there’s no doubting that. So as I was sitting at my desk flipping through my Outlook calendar adding all of my appointments and counting to see what my due date would be I had to tell myself to stop psychotically obsessing, and think of something that I could occupy my time with until July gets a little closer. So, the decision has been made; exercise, healthier eating, & getting my body ready for all of this is going to be my focus and two months is just what I need to accomplish that. If you read my post from last Friday then you saw that I started at Curves. I finally get to start the SmartCard program now that I’m officially a member. Your card goes into each machine and it records your work out for you & increases your work out each time. When you’re done you can go the computer and see how many calories you burned and what level you worked out at between 1 and 10. It will also show different areas of your body with either a red, yellow, or green dot on them indicating areas that need improvement. I am not doing this to lose weight. At this point in time I weigh 113 pounds; my waist is 26” (or a size 1 or 2 depending). I in no way, need to lose any weight, but I do need to tone & just work out for my general well-being. As far as food goes, I eat relatively healthy, I try to avoid too much processed foods, but let’s face it, I love a box of Velveeta mac-n-cheese, or a can handful of Pringles every once in a while, but I’m going to try my hardest to avoid as much of that as I can. I’m planning to replace my daily cup of coffee with a smoothie & continuing to limit my soda intake. Right now I only really drink a soda on Saturday’s when I go to lunch; there is just something about a fountain soda. Every day at work I fill a tumbler with water and drink as much as I can. At work I eat Cheerios with 1% milk, or have a couple slices of whole-grain toast for breakfast, I have a wrap with a side of veggies for lunch & I eat fruit all throughout the day. My biggest challenge is eating out. We do too much of it on the weekends. Once I start stims I will start drinking SmartWater which is enriched with electrolytes to help prevent OHSS. If I end up with OHSS then we won’t be able to do the embryo transfer and we will have wait another cycle. I refuse to wait any longer so I will do whatever it takes to prevent OHSS which can cause severe dehydration. SmartWater also has a lot of potassium and sodium so it is absorbed by your body faster & helps prevent dehydration better than regular water. I also plan to try to just enjoy the next two months, summer is coming, my birthday, Joe’s birthday, and lots of other family/friends birthdays are coming in June. Our trip to Myrtle Beach is still in the works I’m hoping to meet Melina @ A Life Without Mofongo who’s only a few short hours from there. Planning my bestie’s baby shower, spending time with baby Jase, and all of my other friends and family who I love are some of my other priorities. But, still, in the back of my mind, I’ll be ready for July! I'm all about clean eating!! That smoothie recipe sounds delish!!! Infertility is so much about waiting and hoping the months fly by to start the next cycle or treatment. I'm glad you are taking the time to enjoy the summer, even while you're looking forward to July. Best of luck to you! It's hard not to constantly wish ahead time I feel you. I am so excited for July for you, 66 days you got this! fabulous post. i am the same, always looking forward to something, but really it is wishing the present away. need to get over that. i love your smoothie recipe - thats basically what i have, yum. Your patience inspires me. It's something I'm definitely lacking right now during my long cycles... Awesome job for wanting to get your body in better shape & more healthy. Once you are pregnant, you will be able to maintain whatever exercise you were doing beforehand! 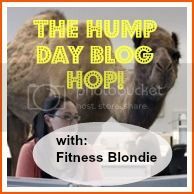 I loved being active throughout my entire pregnancy!